Top 7 Non-Sequels coming in 2016 — GamingWithSwag.com - Dads By Day, Gamers By Night. Most of the games that drop in any given year are tied to established franchises which isn't necessarily bad, but a few new titles can bring in some fresh ideas and characters. These are the 7 I am most excited about in 2016. No Man's Sky (PC/PS4) - This sci-fi title is enormous with an infinitely galaxy of procedurally generated worlds. The sheer scale of this game should ensure you get your money's worth. Recore (Xbox One/PC) - From the creator of Metroid Prime we get a game that looked a little like Fallout but with a robot dog. The blue core shown above can be placed in all different manner of bots to help you along the way. 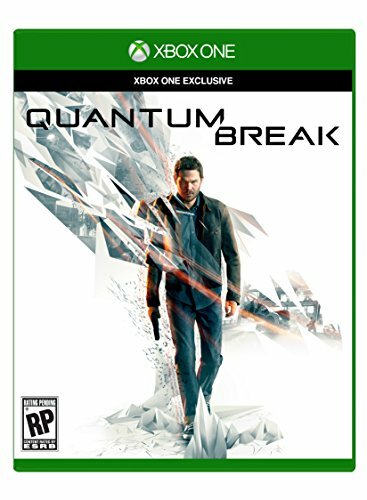 Quantum Break (Xbox One) - An ambitious title that is also going to feature a live action series to coincide with it. Horizon Zero Dawn (PS4) - A post-apocalyptic 3rd person action RPG from the makers of the Killzone games. I like the look of the hunter-gatherer characters battling against strange robots. Unravel (PC/XboxOne/PS4) - A beautiful little platforming game with some unique puzzling elements looks like one of the better games to come this year and we only need to wait another month to get our hands on this one. Fortnite (PC) - A cooperative game that has you building up bases to defend against hordes of enemies. We could really use a good cooperative game especially on with more gameplay than just shooting. Cuphead (Xbox One/PC) - A run and gun game styled after 1930's era cartoons like Popeye and Betty Boop. I love the look of this game.